A small world many would say. Indeed, the world has been made small in our eyes with the help of world maps. The world map is over 24, 000 miles, a mean radius of 6,371 km, and about 7.6 billion people all encompassed in a drawing. These drawings – the world maps can be described as geographical references for not just scholars but for every one that dwells on the surface of the earth. World Maps have come a long way, they can be seen as the whole world compressed and virtually represented. A World Map is a visual representation of the earth highlighting relationships between elements of that space such as regions, objects, and themes. Today, a lot has changed in the way the map works, today’s map can help you locate less significant things in the world as well as very important places. Some maps are also interactive, talking to you and showing you things as you explore it. With a map, you can navigate the world with ease. World maps come in different kinds and projections. Put in a clearer term, the idea of different world map types does not mean that each mirrors independently different parts of the world. Rather, they only present the world from different dimensions; meaning that, its just showing the same thing differently. The easiest way to understand this is by acknowledging the known fact that the world is not two but just one. In this article, we’ve decided to present to you a selection of some of the coolest world maps that could change the way you think about the world. Just as the name goes, this map shows the physical features of the world, which includes landmarks, water features, boundaries etc. 3. Here, the countries with red signify the countries that drive on the right side of the road. 4. These 22 countries in white are the ones that have never experienced the invasion of England. 5. Internet access is seriously restricted in all the highlighted countries on this map. 6. Google street view is available in these places. 7. All these nations are landlocked. This simply means that you find very little or no water bodies in the highlighted countries. 8. The countries in red and orange inhabit the highest skyscrapers you have ever seen in the world. 9. The largest proportion of world foreign aids come from these countries. 10. Beware!!! these are the areas that you are prone to be devoured by the great white shark. 11. Are you a fan of McDonald’s? surprisingly you can’t get it everywhere. The countries in red are the only places you can get McDonald’s. 12. These countries practiced communism at some point in their history. 13. When all the countries with coastlines sink, this is what the world would look like. 14. These are the countries that have at one time or the other operated an aircraft carrier. From the map, we can see that Africa the second largest continent is only on its way. 15. This is a map of the shipping lines of the 19th century that shaped the continents of the world. 16. 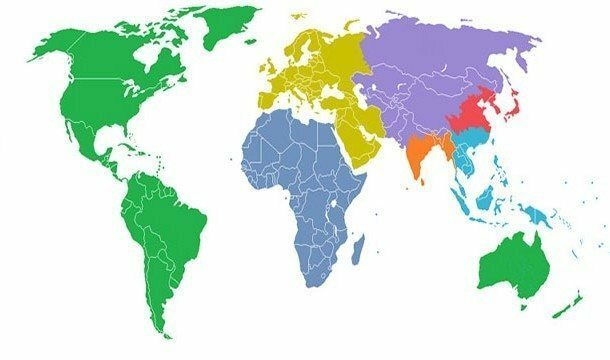 Divide the world into seven sections, with each section containing 1 billion people, this is what the map looks like. This map simplifies information about the climatic condition in different parts of the world we live in. A careful observation of the map will leave you with sound info about the climate of all continents. Some countries or continents receive more rainfall, some more snow, some utter dryness or hotness. All these are carefully unraveled in a climatic map. 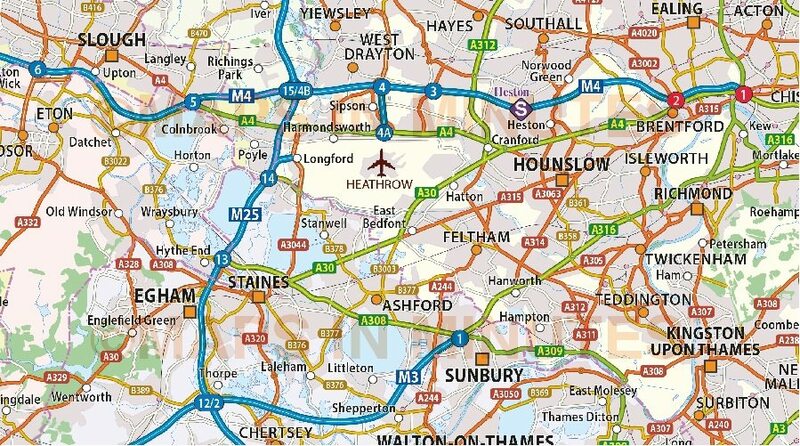 Just as the name goes, this maps out notable or remarkable roads, highways in an area. It also shows you how you can navigate better as well as the relationship between the roads in the big cities.